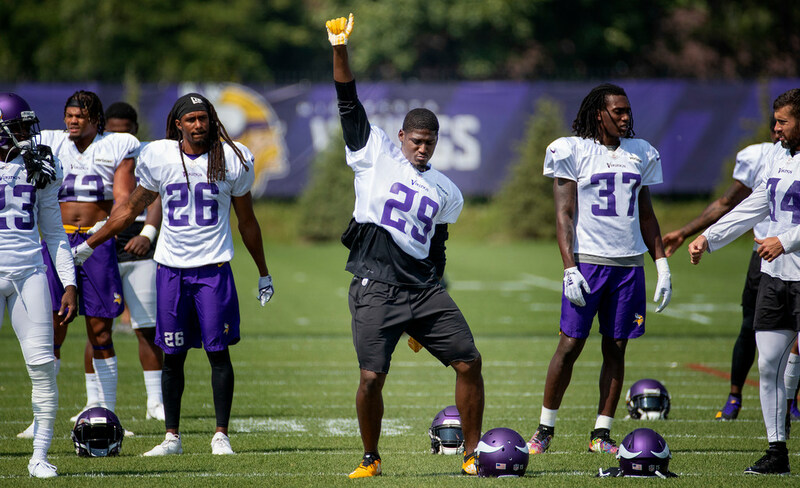 Cornerback Xavier Rhodes is active and will play for Sunday’s noon kickoff against the 49ers. Rhodes was listed questionable after being limited in practice all week due to a hamstring injury. The Vikings will be down one defensive back in Mackensie Alexander, the slot corner who injured his ankle Aug. 18 against the Jaguars. He practiced twice on a limited basis this week, but was listed doubtful and will not play. Expect rookie corner Mike Hughes to take Alexander’s work in the slot. Center Brett Jones will start, as the Star Tribune reported earlier this week. Jones, who started 12 games at center last season, was acquired two weeks ago from the Giants in a trade that sent a seventh-round pick to New York. The Vikings are hopeful center Pat Elflein will be able to return soon after he was a limited participant in practice all week — his first practices since undergoing a surgery apiece on his ankle and shoulder this offseason. Elflein and tackle Aviante Collins were ruled out on Friday. Vikings’ inactives: Elflein (ankle/shoulder), Collins (elbow), Alexander (ankle), RB Roc Thomas (ankle), DT Jalyn Holmes, QB Kyle Sloter and RB Mike Boone. 49ers’ inactives LB Malcolm Smith, WR Richie James Jr., OL Erik Magnuson, OL Matt Tobin, DT Jullian Taylor and OT Shon Coleman.